TIP #1: Headings should not contain other headings. Remove the nested headings, or replace them with SPAN elements. 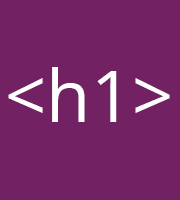 TIP #2: Use HTML headings instead of applying CSS heading styles to non-headings. Change the element to an appropriate heading element (H1, H2, H3, etc) and apply CSS styles if necessary. Next PostACCESSIBLE CSS: Strong vs Font-Weight – Which to Use?